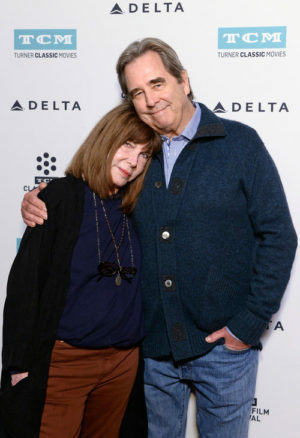 Lee Grant and Beau Bridges reunited for a rare screening of The Landlord (1970), interviewed by TCM’s Ben Mankiewicz. 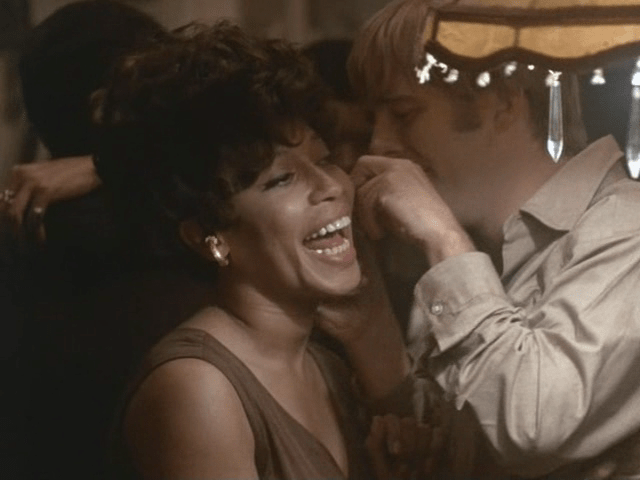 The actors joked about playing mother and son in the film, director Hal Ashby’s first feature. Elgar Enders (Bridges) is trying to break away from his wealthy Long Island family and domineering mother (Grant). Planning to empty the place of deadbeat tenants, he buys a building in a Brooklyn ghetto. On his arrival, the blond-haired idealist loses his VW’s hubcaps and nearly his life when confronted by locals. The movie takes on serious issues comically. If the tenants fear the landlord, no one shows it when he moves in. 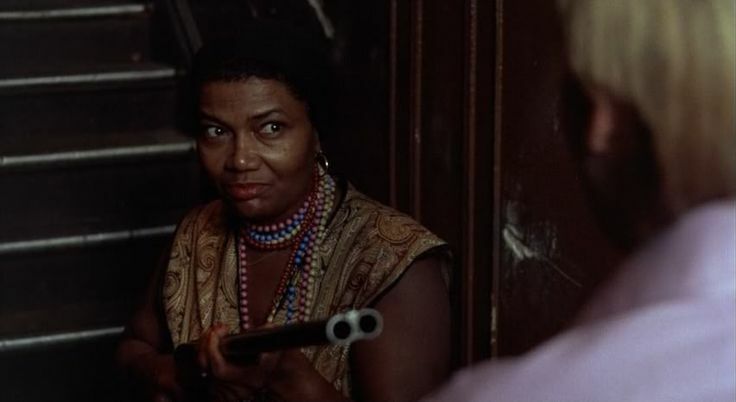 Upstairs neighbor Marge (Pearl Bailey) pulls a shotgun. She later becomes an ally who introduces him to “soul food.” Married couple Copee (Louis Gossett Jr.) and Fanny (Diana Sands) also evolve in their feelings toward Elgar from suspicion as “the man” to friendship. He begins dating Laine (Marki Bey). With a soft femininity, she’s different from the tough women in his apartment building and even his caustic mother. It was Bey’s screen début Surprised that Laine is African American, that doesn’t dissuade his romantic interest. There’s a boy meets girl, boy’s loses girl scenario that plays out. 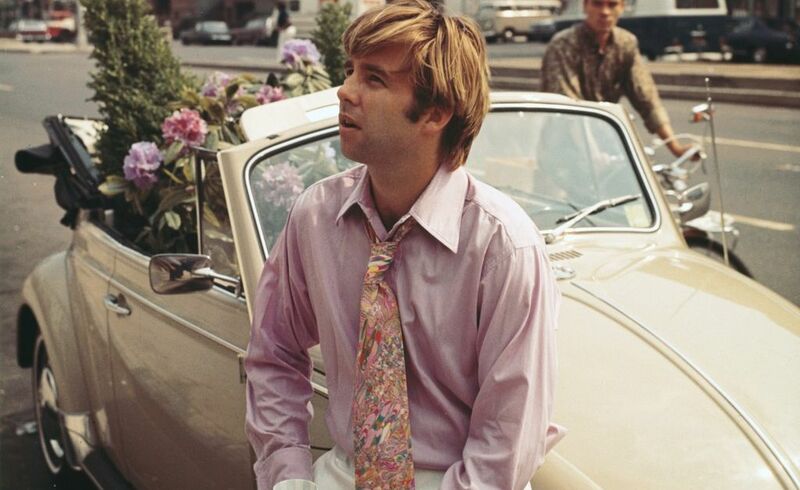 Until about this point, “The Landlord” is more or less what I was expecting: A situation comedy with the white kid (Beau Bridges) as straight man. Like, Pearl pleads with Beau to eat some more of them good ham hocks, and you gotta smile, right? But then the movie takes an interesting turn. Instead of staying on that safe, predictable level, it begins to dig into the awkwardness and hypocrisy of our commonly shared, attitudes about race. “Awkwardness” doesn’t usually translate into box office success. Some of Ashby’s films were successful, but he wasn’t shy about taking risks, as is the case here. 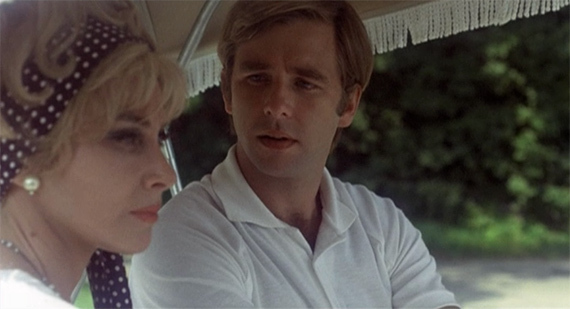 According to The Films of Hal Ashby by Christopher Beach, some of that experimentation brought Ashby into conflict with executive producer Walter Mirisch [In the Heat of the Night (1967)]. Mirisch came on the set when the shooting schedule ran over. He also objected to what he saw as the overly dark lighting of the scenes in the ghetto apartment “and that it was impossible to see the character’s eyes,” important for a comedy. Ashby argued that he and cinematographer Gordon Willis were deliberately contrasting the inner city with the brightly lit scenes on Long Island. Mirisch relented when he saw more of the film and better understood what the young director was up to. After her auspicious screen début as a troubled young woman in Detective Story (1951), Grant was caught up in the Hollywood Blacklist. She declined to “name names” which ended her film career and mostly worked in television until a comeback in the 1960s. She couldn’t be more different from her superficial Landlord character, but as she told Mankiewicz, she grew up with women like her. There was only about fifteen years between her and Bridges. Still, Grant is convincing as the mother. Bridges spoke of the location shoot and the hostility that closely mirrored the film. Gossett, Jr. put a friendly arm around him when things got tense, serving as his unofficial bodyguard.